ChildChild age: 3-12 years. Under 3 free. Screaming Gator Zip LineIncludes Park Admission. Price the same regardless of age. For more than 60 years, Gatorland has been creating Fun, Smiles, and Special Memories for millions of visitors who have entered through its world-famous gator mouth entrance. 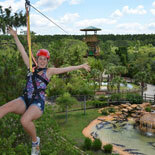 Clip in and zip off on an exciting outdoor adventure with the all-new Screamin' Gator Zip Line at Gatorland. Your journey will take you along 1,200 feet of high flying, heart pounding adventure from some of the finest zip line towers in the world. Standing over seven stories tall, these amazing towers feature multilevel launch pads and breathtaking views from high above the treetops.Soar through the air and defy gravity over some of the theme park's star attractions - including Cuban and Nile crocodiles - before heading over the Alligator Breeding Marsh, complete with one hundred and thirty giant alligators watching from below! Don’t forget to visit Pearl’s Smokehouse for some good ole’ fashion comfort food before you head on over to the award winning Gift Shop where you can find everything from t-shirts and plush animals to specialty items and limited edition pieces. 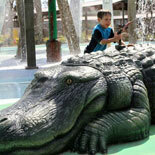 Come spend a day with the alligators and their friends. Get your eTicket for Gatorland today! 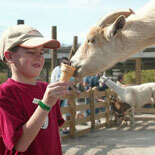 Feed the lovable animals at the petting zoo and the aviary. 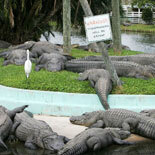 Gatorland provides a unique and natural alternative to the larger theme parks of today. Get up-close and personal with gators, crocs, birds, turtles, zebu, deer and much more! Daily from 10:00 am--5:00 pm. Showtimes for the animal shows vary by season, but are repeated several times daily. Advance reservations must be made for the Gator Zip Line. 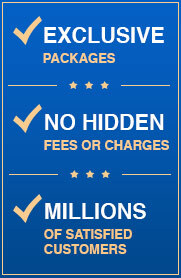 (e-Ticket will have the information). Gatorland is located on Hwy 441 just north of the Orlando - Kissimmee line in South Orlando, only 15-20 minutes away from Walt Disney World. 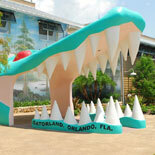 S. Orange Blossom Trail and Gatorland Dr.
Child Ticket: 3-12 years of age. Children under 3 are free. Gatorland general admission does not require reservations and does not include the Screamin' Gator Zip Line. 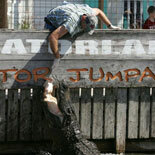 Reservations are required for the Screaming' Gator Zip Line. 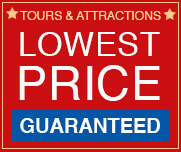 There is a separate admission fee from Gatorland. However Gatorland general admission is included with the Screamin' General Park Admission is included with the purchase of the Screaming' Gator Zip Line Ticket. Launch times are pre-scheduled and cannot be adjusted. 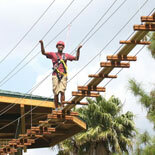 Participants must be able to fit safely and securely in the zip line harness and weigh no more than 275 lbs. Participates must wear closed toe shoes.